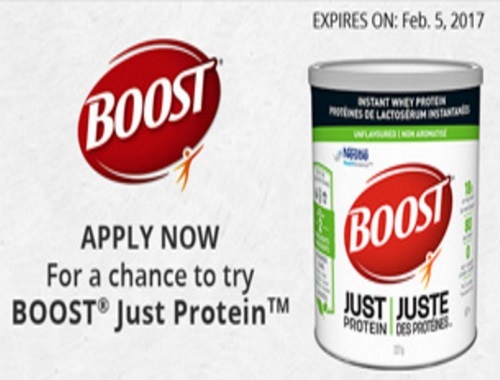 Chickadvisor has a new Product Review Club offer for Boost Just Protein! 200 Canadian women will be chosen to try this for free for review consideration. A new unflavoured instant whey protein that's designed to help you get the daily protein that you need. You have until February 5, 2017 to apply. Selected members will be contacted by email later that week. For extra consideration make sure you spread the word on social media and remember to include #BOOSTJustProtein when you post on Twitter, Instagram and Facebook. Not a Product Review Club member yet? Click here to sign up for free.